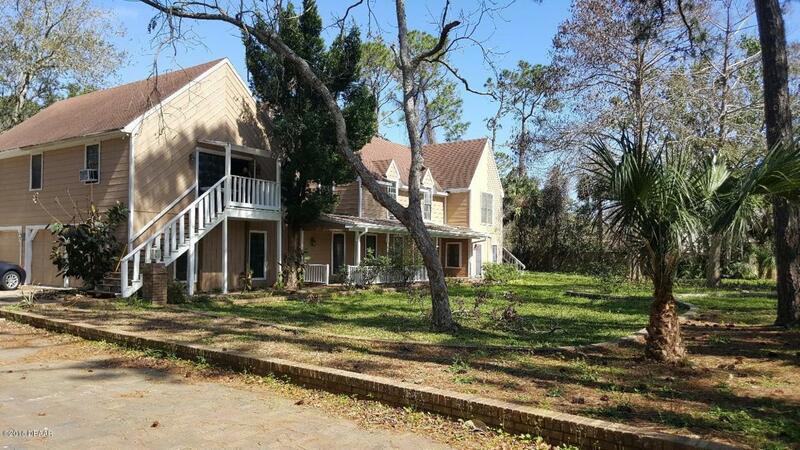 This unique property is situated on 1.93 acres in the City of Ormond Beach. The long driveway leads to huge Pool Home, comprised of a main house, as well as two apartments on the second story. The spacious main house features 5 bedrooms and 3.5 bathrooms. The main kitchen offers lots of room and cabinetry for ample storage space. The second floor 1 bedroom 1 bathroom apartments each feature separate entrances, living rooms, and kitchenettes. These apartments can offer a range of possibilities, they can be rented, used as in-law suites, or can double as additional master suites for the main house. The home includes an inside laundry, a finished garage suite, a fireplace, and much more. Enjoy entertaining with the spacious covered lanai, which opens up to an in-ground heated poolwith beautiful spa and waterfall.The spacious property offers lots of space for the prospective homeowner. All measurements approximate. Don't wait, come see this commanding home before its gone! Listing courtesy of David Levy of Matok Realty & Management Inc.